Since Hurricane Florence made a direct hit on the Carolinas nearly a week ago, the storm brought several waves of devastation. First, as the storm roared ashore, it unleashed a huge surge of ocean water that swamped some coastal areas such as New Bern, North Carolina. At the same time, Florence's drenching rain – as much as 3 feet in some areas – left many areas near the coast underwater. 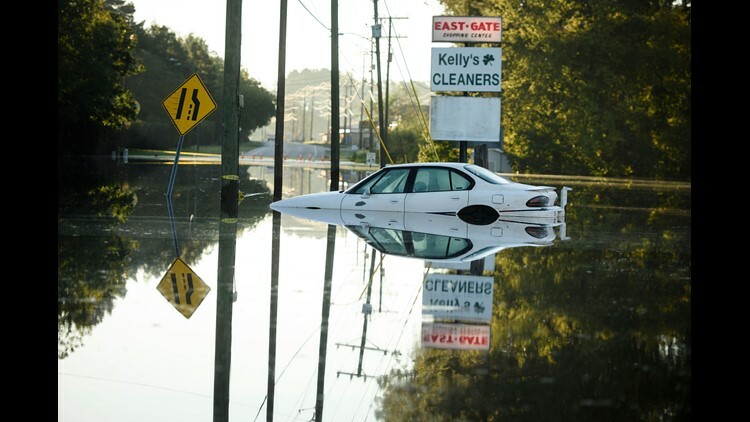 For instance, the 2 feet of rain that fell in Wilmington, North Carolina, raised the city's 2018 rainfall total to a record 7 feet. Finally, the rain that fell well inland continues to work its way through the region's streams and rivers as it makes its way to the sea. This slow-motion, river-flooding disaster will continue well into next week. For example, the Cape Fear River in North Carolina crested at 61.6 feet on Wednesday – more than 25 feet above flood stage and 7 feet below the all-time record. Here's a look at how the Florence's waters altered North Carolina's landscape during the past week. 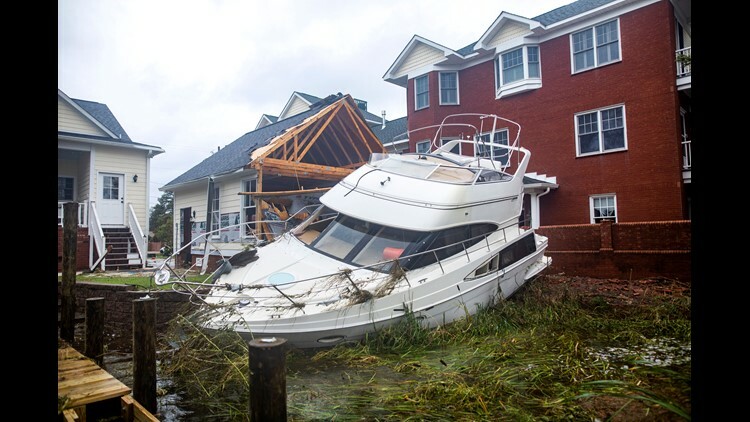 A destroyed boat after Hurricane Florence's storm sure tore through New Bern, N.C. 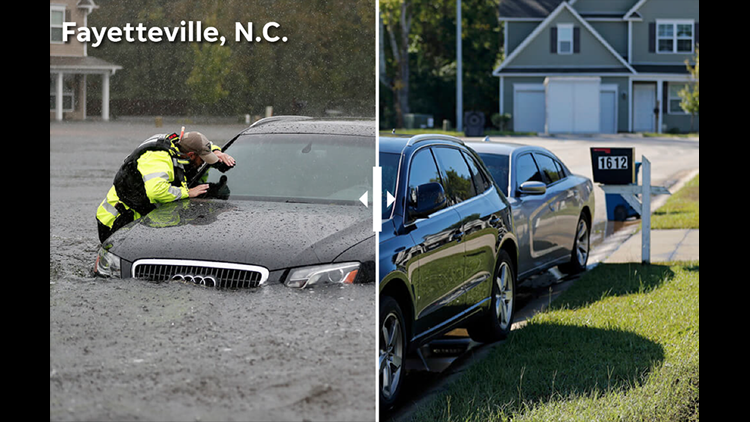 Flooding from Hurricane Florence on Wednesday in Fayetteville, N.C.